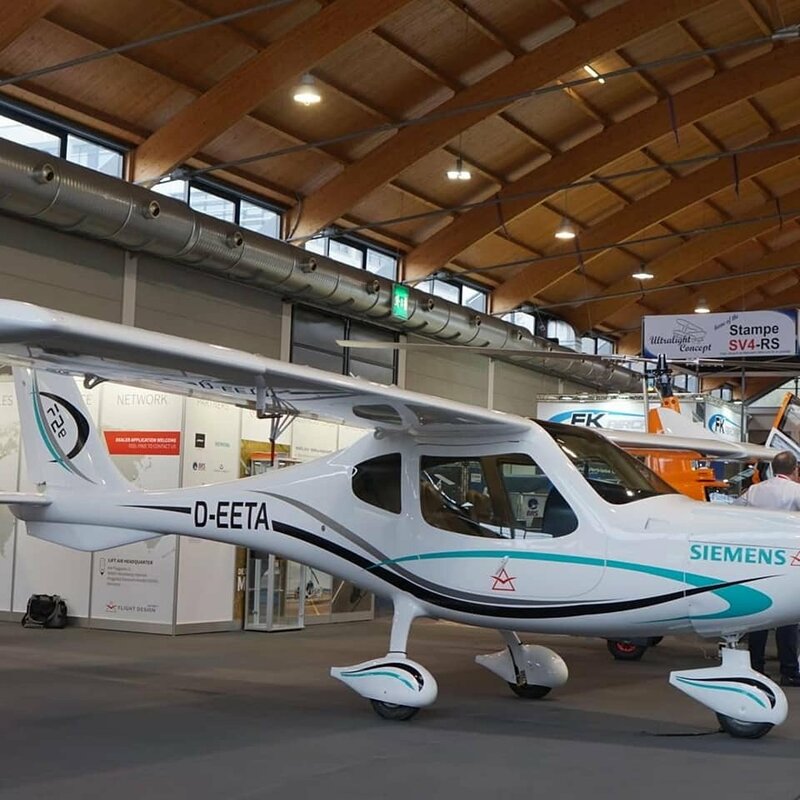 Flight Design has been working on a new line of aircraft and it's on display at AERO Friedrichshafen! Information is currently on the Flight Design Facebook page. More to come! This is awesome! Hopefully it will come with a 914 turbo similar to tecnam. 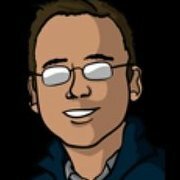 Any mention of when they they will announce the C4 or maybe now the F4? I’m excited about it. Panel mounted airbags standard is a first for any airplane. And an electric option? Yes! All Good... healthy companies spend R&D on the future. Supports the notion that FD is here to stay which builds intrinsic value into all of our CT planes. The turnaround phase is officially over... they will have to re-jigger their sales and marketing efforts now and get the message out again. Nothing but positive news here. PS: In the back of my mind, when I bought the CT, I figured that withing 10-15 years, FD would come out with an E-package and replace the wings/fuel tanks and motor with wings/batteries and an e motor up front. The CT should be able to do this transition effortlessly once the big e transformation takes place. That will occur once the battery-life puzzle gets resolved. They are planning the new Rotax 915i installation only on their F4 model and that model will sell for $ 350K - hardly a competitive price for a basic 4 seater with a 140 HP motor - that's pretty disappointing. Compared to what other new certified 4 seater? What would be its competition? tecnam p2010 doesn’t offer BRS, Cessna 172/182 is way more expensive. 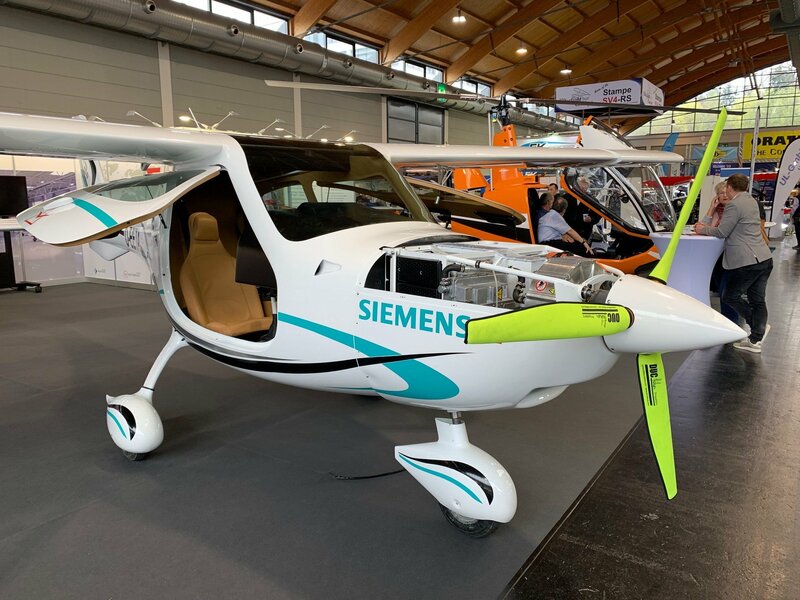 Similar performance and capability as a SR20, which Starts at $460k, If the marketing holds up, Sounds like a contender for the Cirrus market at $100k less than bottom of the line Cirrus. I would compare it more to a new Cessna 172 with 180 hp motor which runs for about 300k. Reasonable offering but not really competitive - if you give most operators ( since that’s who is buying new planes these days ) a choice - a well know design with well supported engine vs unknown to them engine and a composite plane - with similar specs and for similar price , what do you think your typical flight school would pick ? Can you site your source on who is buying the most GA Piston AC? Cirrus was the market lead in sales last year. I wonder why they changed the tail so much? The new vertical stab looks very square and chunky, compared to the rounded sweep of the CT tail. Maybe it's just cheaper to produce? More area in a similar height? Both? BTW, on the electric model, I think until we have 400+ mile range and charging times under an hour, it's a market that will never take off, so to speak. "I have received your request for information. Attached to this email is the standard specifications document and optional equipment pricing guide for our Skyhawk line. Please note that these documents are for 2019 units which we are currently sold out of. Our next available units are Q1 of 2020 and pricing will start at $411,000 for a base model with the optional equipment pricing increasing roughly 5% from 2019 units. If you have any questions or wish to discuss this further, please feel free to reach out." Folks who purchase Cirrus planes will not go for F4 - it is not the same market - Rotax 915i doesn't even come close to performance you get with Cirrus - i.e 180-200 knots cruise, and if you artificially get there by lowering total gross lbs - you don't end up with the same experience , you end up with a squirrely plane that can go almost as fast but is nowhere near as comfortable like a Cirrus for cross country traveling. The next largest market segment is flight schools purchasing mostly C172s and C182s so I assumed that's where you look for competition - don't get me wrong , personally I would pick F4 over C172/182 any day but I am not going to be purchasing a plane for 300+K so it dosn't matter. SR20 Gross Weight: 2984lbs, 2000lbs empty, F4 Gross Weight : 2420lbs, unknown empty. Without a doubt, the F4 is a direct competitor to the sr20. at over $100k less. Yeah it looks like it could be a competitor for SR20 but why 300k + ? I mean it is just a slightly longer, more beefy CTLS + Rotax 915is ? Have you looked at the price of an 915iS? Now add the 915iSc, c meaning certified. Certifying a brand new airframe requires ungodly amounts of money. That is the exact reason the 172 has been the same airframe for 50 years. also the same reason that the Continentals and lycomings have not changed in 50 years. It is cost prohibitive to re certify and new design. $150k to certify to ASTM standards, $1 million to certify to FAA standards.